There are a couple of very valuable websites that offer these things. Sites that build bridges between organizations and/or give voice to people in the field. Offered here is a list of 14 of them and the MGMH is one of them (of course). Ths list contains links, images and brief summaries of the websites. This list on the in2mentalhealth website contains local or international short and 2-3 year courses/education, online courses ((like MOOCS), masters or PHD sholarships, trainings and other capacity building opportunities. The list is updated every month. Today nearly 75% of the 450 million people worldwide with mental illness and epilepsy live in the developing world, and 85% of these people have no access to treatment. The size of the problem is vast, with depression projected to be the leading global burden of disease by 2030. It's a complex picture. Mental illness and epilepsy have long been the 'poor relation' of global health and development agendas, taking a back seat to more prominent issues; often being underfunded, misunderstood and considered taboo. Those living with mental illness and epilepsy often live in poverty, experience daily acts of cruelty and denial of their basic rights, are prevented from exercising choice, pursuing opportunities or planning for the future. The experiences of these most marginalised are often 'hidden in plain sight' as Kevin Isack, a young person from Tanzania explains: "I had to drop out of school because of my failure ...I led a quiet, buried life". With almost no treatment available, people often use traditional healers which are expensive and trap them in a vicious cycle of poverty: "We used to move here and there searching for traditional healers' treatments. We sold our livestock, crops and sometimes I used to work in the others farms so as to get money to pay traditional healers. It cost me a lot." 13 years ago, BasicNeeds was established as an international development organisation to respond to this humanitarian emergency, and has now worked with hundreds of national and international partners across 12 countries, helping more than half a million people with mental illness and epilepsy, and their family members. But we need to do more. With the support of the Skoll Foundation and our many other partners, we are now scaling up our operations to reach at least 1 million more people who are living with mental illness and epilepsy in low and middle income countries in the next five years. We will do this by accelerating the implementation of our Model for Mental Health and Development, which combines health, socio-economic and community orientated solutions with changes in policy, practice and resource allocation to make real change in the lives of people we work with. A key part of this scale up plan is the development of social franchises. Social franchising is about the replication of a tried and tested model, in our case this is the BasicNeeds Model for Mental Health and Development. Like a business based franchise approach, our social franchise system will support independent organisations operating in low or middle income countries (such as international non-government organisations, in-country NGOs or country governments) to take on the delivery of the Model in their territory, increasing the impact of their work and most importantly, the quality of life for people with mental illness, epilepsy and their families. We aim to compliment and strengthen local interest and leadership in mental health, epilepsy and development, working with partners who know their territory well and want to do more. We know our Model works and are excited to offer potential franchisee partners a comprehensive package which will support them to implement the Model and link into our wide peer practitioner, research and policy networks. By supporting BasicNeeds through the CrowdRise challenge we can reach out to more people with mental illness and epilepsy who are in need of help. If you are interested in our social franchise plans and want to find out more, we would be pleased to hear from you. Please contact us via our website. Join the global social movement. Grab your phone or laptop and log on to join others and inspire a new wave of action on NCDs with NCDFREE. Starting today – NCDFREE is giving you the opportunity to be part of the next short-film. Submit a video of yourself from your phone direct to the website doing one of these 10 things! Ten things you can do today for NCDs. Here are ten simple things you can do today to start making a difference for NCDs – or Non-Communicable Diseases. We need to talk… It’s them, not you… And it’s just not working anymore. 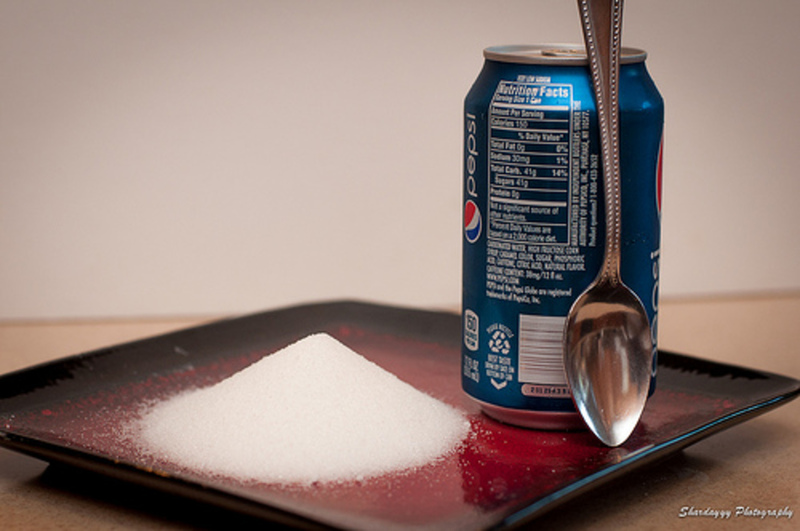 In short – the easiest way to ‘battle the bulge’ is to break up with soda or soft drinks. Give away the carbonated, sugar-drinks which gift you nothing but significantly increase your chances of diabetes and other chronic disease. This is one relationship you can definitely do without – trust me, you deserve better. Food once contained ingredients – today it contains numbers. E211, flavour 127… It’s time to reconnect with food, examine and learn what is in the food we eat and ensure that the next generation is a generation of slow foodies – not fast foodies. Try a new recipe, experiment with a new ingredient and support your local community groups working in the food space – Kitchen Garden Foundation, local cooking groups, Youth Food Movement and Slow Food! Globally, our population is more urbanised than not – for the first time in history. The health and design of our urban environments is a large dictator of the health of our communities. It is time to rethink the way we build cities, and create suburbs conducive to health – rather than disease. Work with your local council to create a micro-park or parklet, make your own temporary zebra crossing, close your street to traffic for a day, demand more active-transport infrastructure (including bike lanes and footpaths) in your community and prioritise Green Spaces as a political issue when next casting your local vote! The day has come – and the current situation cannot continue. Golden Arches and BigSoda sponsoring the Olympics. Fast food outlets in our most respected children’s hospitals. American burger pushers posing as “Australian”. Sugary drinks in vending machines on the corridors of our hospitals and fried food served in our schools. We don’t have to accept this! And we should be vocal about not continuing to accept this. Speak up and question the insidious stronghold of these obesogenic corporations. To a degree, food companies make what they think we want to buy. They produce food to make a profit but can only do this – if we buy what they make. Let’s vote with our forks and lead the charge for better quality produce and products! Not only by avoiding ultra-processed “food” but also vocally calling for a more diverse and better quality range of fresh foods in our local supermarket or convenience store. Diabetes and heart disease are not outcomes of laziness and cancer is not something we can simply pin on individual choice. NCDs are largely an outcome of the opportunities one is afforded and those we as a collective decide to afford one another – the environment in which we are born, grow, work, play and age… The Social Determinants. At both the macro and micro levels, an important step in addressing this enormous burden is to look past the blame game and see that globally and locally – NCDs are linked with poverty and a lack of opportunity. Let’s decide to address the big picture determinants and support (not blame) those affected. Not every big idea by government or push for regulation is a sinister Orwellian plot. 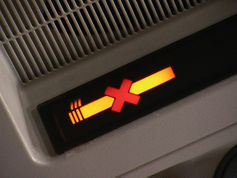 Seat belts, speeding limits and bans on aeroplane smoking are good examples of limitations to our lifestyles, which we accept in order to protect our wider community. Small inconveniences for some – life saving and bold measures, once controversial but now universally accepted. Governments must make bold steps (including taxes and regulation) to overcome NCDs. When they do – let’s be open to at least hearing them out and giving these ideas a go before we decide it’s a “big brother” plot and run for the hills. Mandating better food in schools and hospitals, limiting the serving and portion sizes of sugary drinks, banning smoking from more and more public spaces, limiting advertising of junk food to children… These are not big brother – but big vision. A simple step (excuse the pun) – make a concerted effort to bring active transport back into your life. Swap the morning drive for a walk, duck to the shops on your bike and start a Walking Schoolbus for your local community. Good for your heart, great for your mind and a boost for your mood – exercise is medicine. 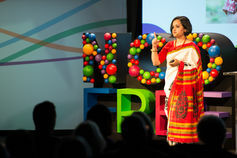 NCDs are a massive global challenge – but also provide us with an opportunity to be inspired and rethink our societies. Bring the conversation home! Talk to others, inspire friends and family to think about a healthier future and challenge those for whom the lightbulb is yet to light up. Finally – join the global social movement. Grab your phone or laptop and log on to join others and inspire a new wave of action on NCDs with NCDFREE. Today each 10th of October thousands of supporters come to celebrate this annual awareness program to bring attention to mental illness and its major effects on peoples’ life worldwide. In some countries this day is part of the larger Mental Illness Awareness Week. The theme of this year is ‘Mental Health and Older Adults’. Maybe you are already part of a rally, campaign or activity on this day. If not, in this blog post are some suggestions for reading, viewing, joining, educating or donating on this special day.